Police are appealing for witnesses following a reported racially aggravated assault in Halifax town centre. The offence happened between 6.10pm and 6.20pm on Monday, May 16, at the bus stop in Commercial Street where the 503 and 539 buses stop and the victim has been described as a Eastern European male, in his late 20s, stocky build and a bald head. The victim was with a woman, also thought to be Eastern European. 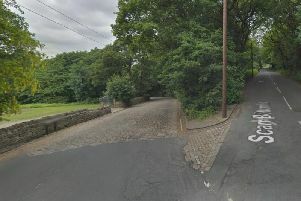 PC Lauren Booth, of Halifax Neighbourhood Policing Team, said: “We are keen to speak to anyone who has witnessed this assault which happened during the early evening in a busy area of Halifax town centre. A 29-year-old man from Halifax has been arrested on suspicion of racially aggravated common assault and released on bail pending further enquiries.